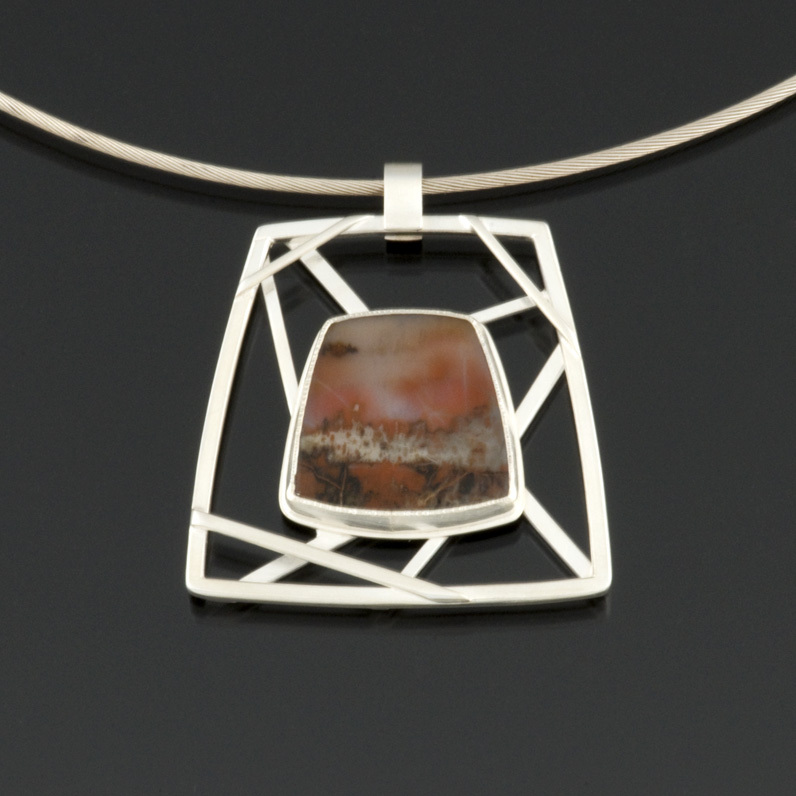 Jasper pendant set in sterling and fine silver. Approx. size: 1.75 by 1.5 inches.